The awarenet Open Lab registered its 500th member last week! 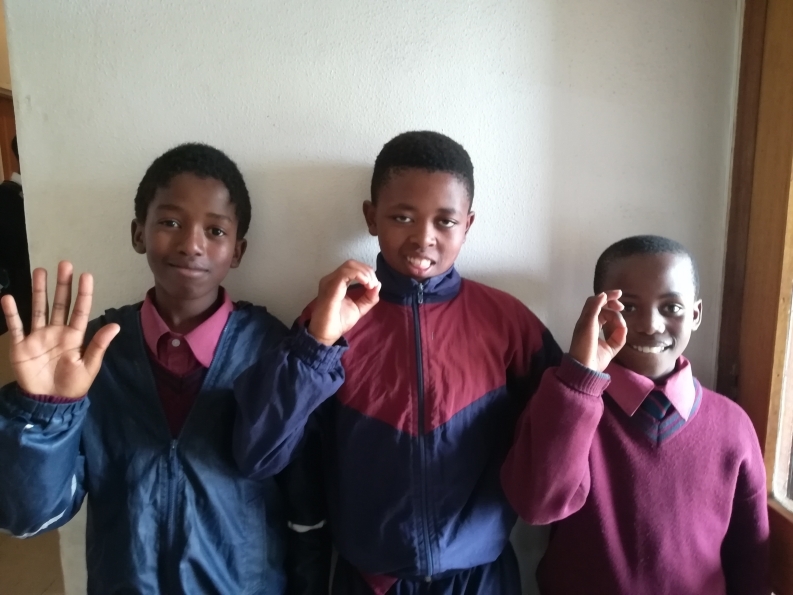 Aphelele Pama, a 13 years old grade 6 learner from local school CM Vellem became awarenet Open Lab member number 500. Aphelele on far left, flanked by friends Esona Ndyawe and Lakhanya Mnyanda. Asked why he decided to join the awarenet Open Lab Aphelele says the main reason is that computers can help him do his homework better. He can also use the internet to research difficult school projects. He says he doesnt have the chance to use computers neither at home nor at school so the awarenet Open Lab is a great opportunity for him to learn how to use a computer. Aphelele lives with his grandmother, brother and sister in Joza in Grahamstown. His parents live in Johannesburg. The awarenet team welcomes Aphelele to the Open Lab and hopes he will learn a lot and have a great time while being part of the Open Lab! This entry was posted in CM Vellem PS, Joza Youth Hub, members, Open Lab, Our organisation, Uncategorized. Bookmark the permalink.